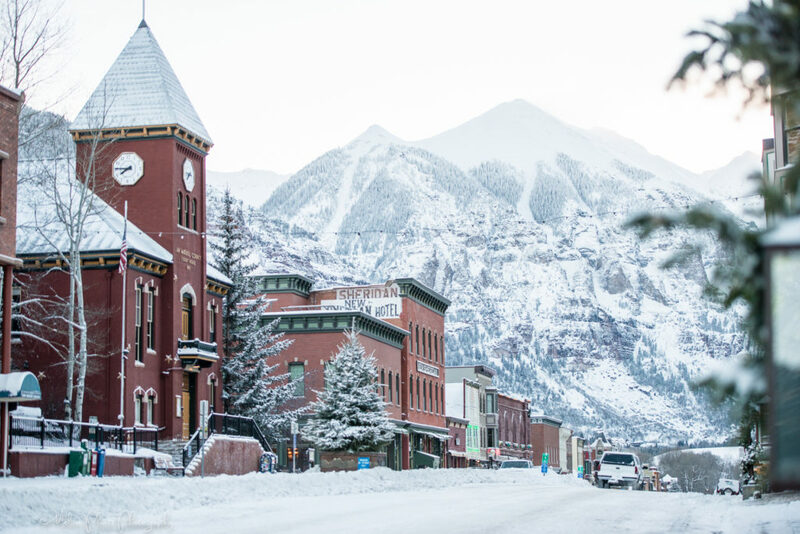 Telluride is the perfect town for your meeting place – from small, intimate groups to large, extravagant retreats, there’s a space for you. Our beautiful mountain town has conference rooms, ballrooms, outdoor areas and break-out spaces that are perfect for your next retreat, social event or meeting. No matter how big or small your group, the top-rated Telluride Ski Resort is just steps away and so are plenty of hiking trails and other outdoor activities. There will be no shortage of inspiration for your event while surrounded by the beauty of the San Juans. Alpine Lodging’s extensive local knowledge can also help in planning your event. We can help book photographers, outdoor guides, transportation and equipment rentals to help make your special event a success. Please contact Chris@Telluride.com for further information or to book a function in Telluride or visit https://www.telluridelodging.com/groups-and-weddings for details. There is more than 50,000 square feet of meeting space in Telluride and Mountain Village. There is an airport located in Telluride, and there are four other larger airports nearby for additional access to town. Telluride is home to the Telluride Ski Resort, which is consistently ranked #1 in North America. The nearest stoplight is 40 miles away, which makes Telluride extremely quiet and laid back. The gondola, the first and only free public transportation system of its kind in America, is a fun way to travel while in town. The town of Telluride is small – it’s only 12 blocks long and 5 blocks wide, which makes cars obsolete while staying here. There are plenty of outdoor activities right outside of every accommodation. 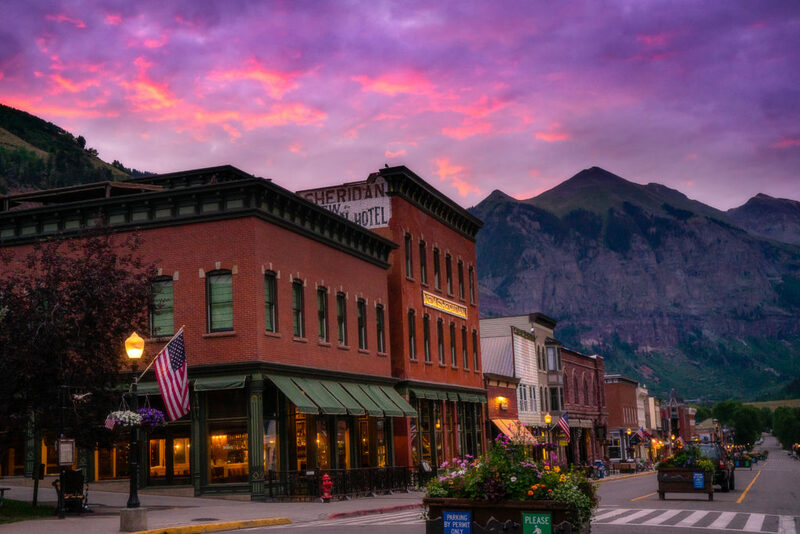 Top-rated restaurants and bars line the streets of Telluride. Eat up! It’s relaxed – the town speed limit is 15 mph. The people. We want everyone to enjoy our town as much as we do, so we’ll do anything to make sure your trip is enjoyable. Of Alpine Lodging’s 300+ properties, there are a few that were made to host groups and large parties. Each one is known for its unique qualities that make each and every stay so special. 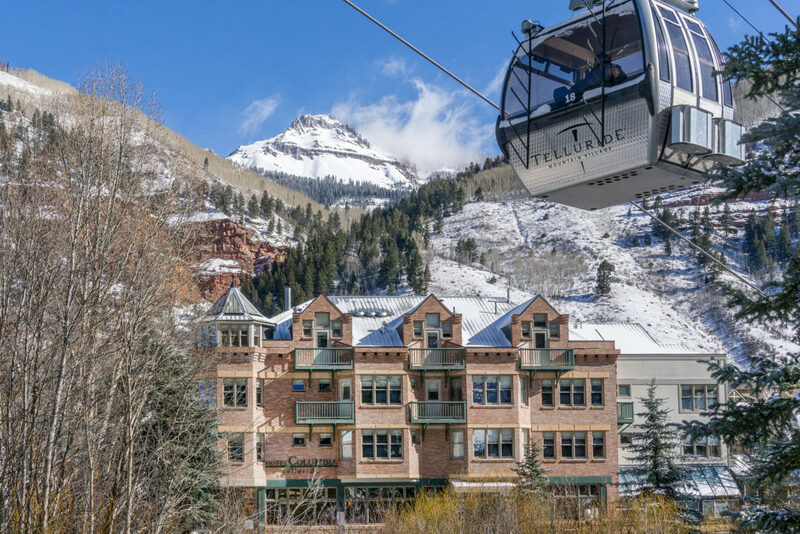 We do have plenty of condos and homes located throughout Telluride and Mountain Village as well, so the options are endless. Rated #1 in specialty lodging in Mountain Village on Trip Advisor, the Bear Creek Lodge truly feels like home. 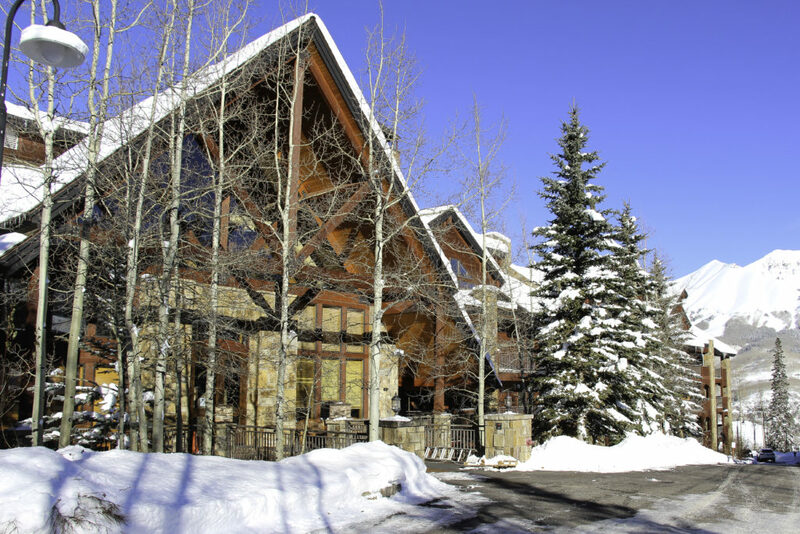 The lodge is tucked in a pine grove with unbelievable views of the peaks surrounding Telluride from every angle. Rooms range from hotel rooms to four-bedroom condos with plenty of room for large groups. Everything from one-bedrooms to four-bedrooms include a full kitchen with plenty of room to cook meals during your stay. 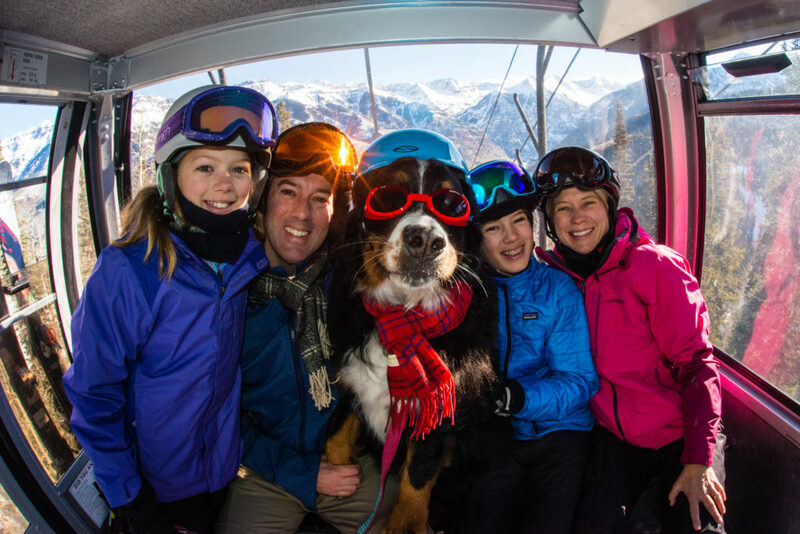 A concierge is onsite to help assist with anything your group may need, and a shuttle is always on-call to take you wherever you need to go in Mountain Village. In the winter, the Funicular is available for guests to get a ride directly to the Double Cabins ski run. Other amenities include a large heated pool, two hot tubs, commercial grill, fire pit and large great room. A small conference room is onsite and is equipped with a projector, whiteboard and plenty of tables and chairs to facilitate a meeting. The Hotel Columbia is a beloved boutique hotel located steps from the gondola in the heart of Downtown Telluride. Each of the 21 rooms is different, but they all carry the same high-quality bedding and luxurious furnishings throughout. Rooms range from studio-style king guest rooms to a large three-bedroom penthouse suite. 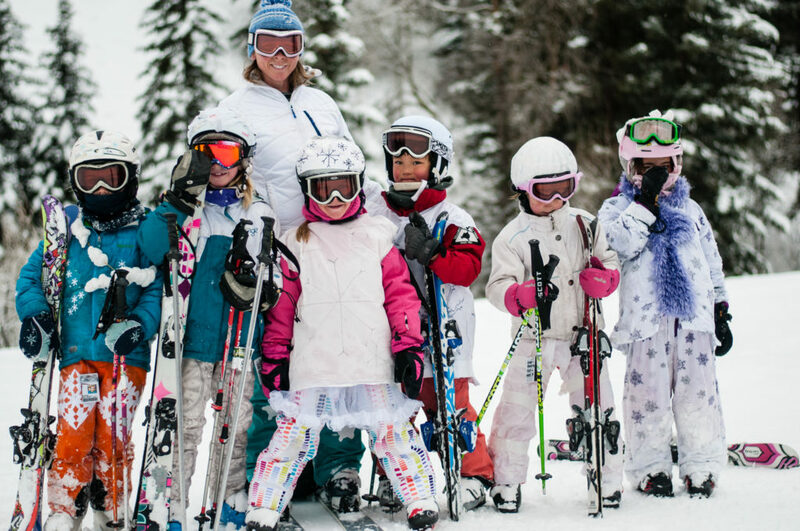 An onsite concierge can make local spa, restaurant, transportation and equipment rental arrangements, and an onsite ski storage and boot warmer will complete your ski trip. 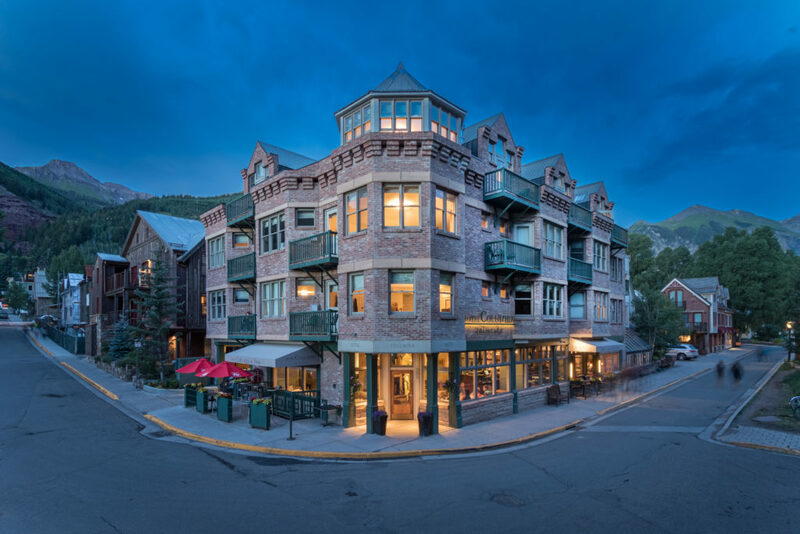 The top-rated restaurant in Telluride, the COSMOpolitan, is also located on the first floor of the hotel with an additional wine cellar meeting and event room located in the basement. Best known for its affordability and prime location on the river and near the ski slopes, the Mountainside Inn is a great spot for large groups of people. The 80 available rooms range from hotel rooms to a three-bedroom unit, some of which come with kitchenettes. Just 100 yards from the base of Chair 7 and two blocks from the Gondola, the Mountainside Inn’s ski access is unparalleled. 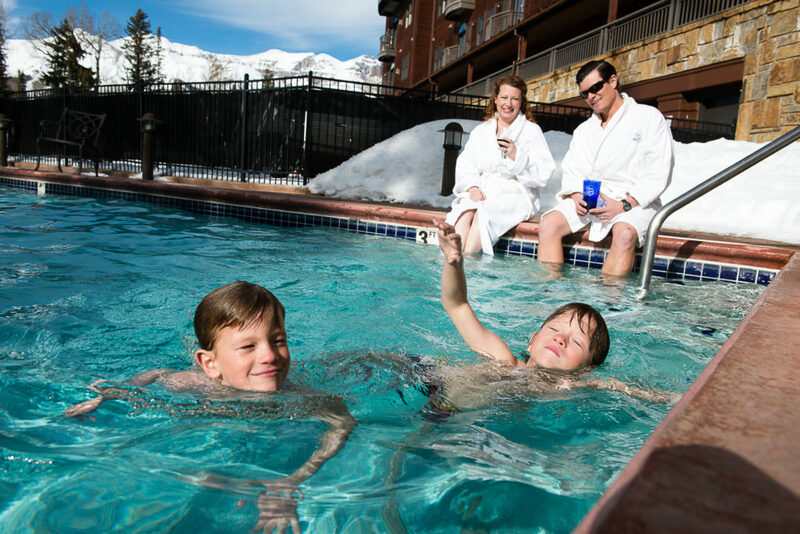 Grills, bike racks, parking and a hot tub are also a few of the perks to staying at the Mountainside Inn. 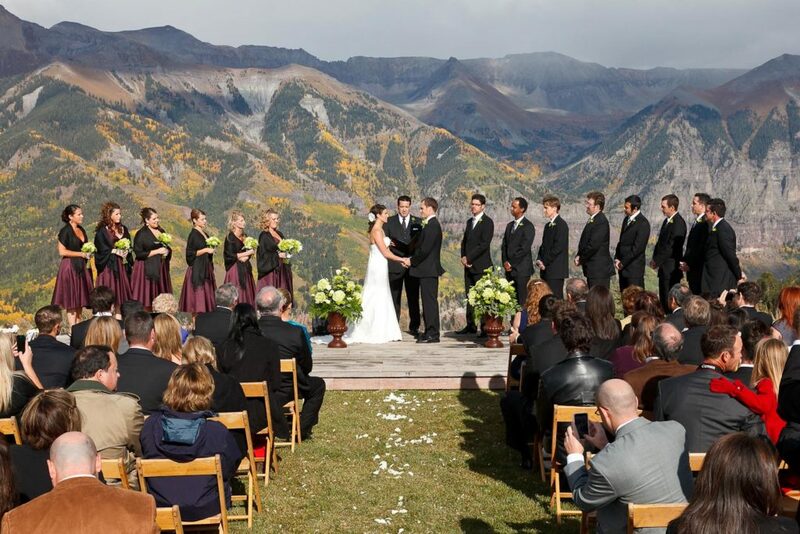 Please contact Chris@Telluride.com to learn more about our properties and our group reservations or visit https://www.telluridelodging.com/groups-and-weddings to check out our offerings. There’s no better backdrop for a wedding than Telluride. 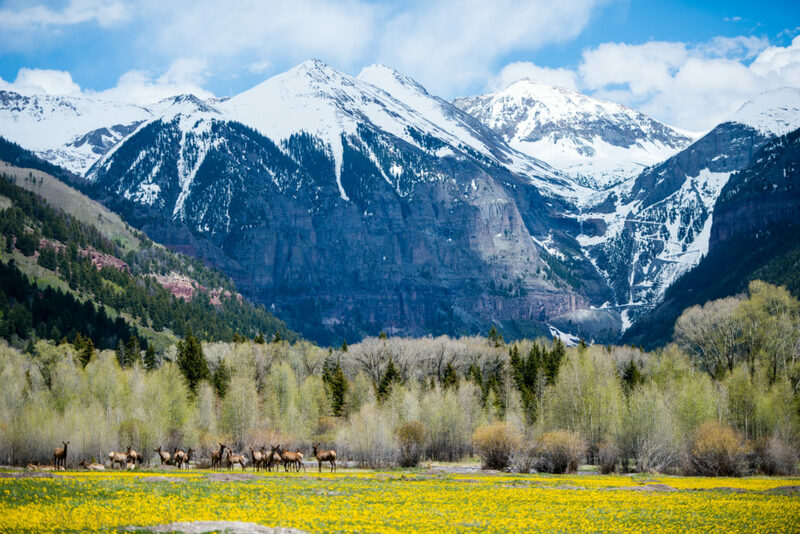 Nestled in a box canyon surrounded by 14,000-foot peaks, Telluride has the capability of hosting both intimate elopements and large weddings surrounded by family and friends. Sprawling local ranches with epic views provide the space for bigger groups or choose a smaller fine-dining restaurant for a more intimate setting. Not only can Alpine Lodging help arrange wedding ceremonies and receptions, we can also take care of housing everyone in the wedding and attending the ceremony. Choose from 300+ condos, homes and hotel rooms that will fit your wedding party’s needs. Please contact Chris@Telluride.com for further information about booking a wedding block or reserving space for your function. More details are available at https://www.telluridelodging.com/weddings.